Toad Haven had fun playing with peeps! Left are some of the experiments they conducted. Visit Toad Haven for more peep fun! 2. 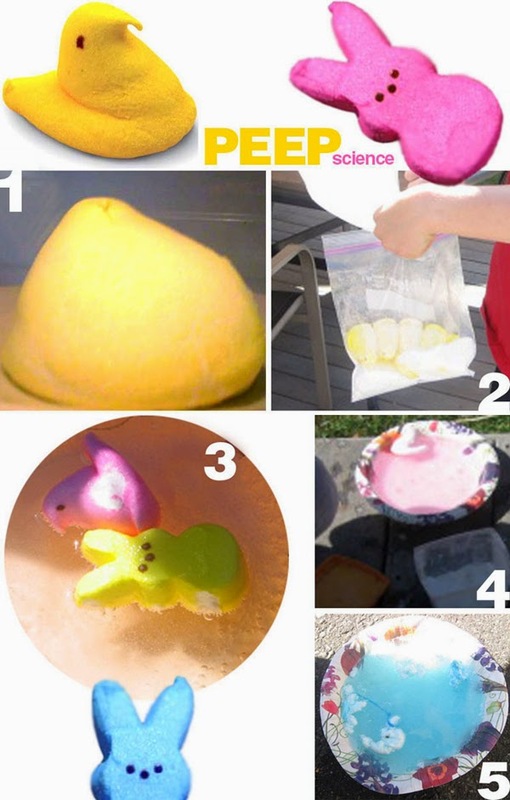 Drop a peep in a ziploc bag with baking soda and vinegar for a chemical reaction! 4. Combine hydrogen peroxide and vinegar with a peep. What happened? 5. Try dissolving a peep in baking soda and sprite. Did anything happen? Try other solutions, can you get a peep to dissolve?